In a season of ups and downs, Chelsea travel to North London to face Arsenal in a matchup that pits the defending Premier League champions against the possible Premier League champions this season. Granted, a lot of that depends on the fortunes of the Gunners for the remainder of the season and the fortunes of the teams around them, but it is safe to say that the North London side will be there or thereabouts at the end of the season. The same cannot be said for Chelsea who are closer to the relegation zone than they are to the top four. As the season continues to progress, it’s looking less and less likely that the Blues will able to climb their way up the table to secure Champions League football next season and may have to win this year’s competition to do so. It makes it an interesting time for this matchup to take place, particularly given what’s at stake. Arsenal have put together a consistent sequence of results that have taken them to the top of the table on goal difference and have their supporters dreaming of their first Premier League title since the 2003-2004 season of The Invincibles. Meanwhile, Chelsea, who took the title from them the following year, sit just 5 points clear of the relegation zone and have looked a shadow of the team that early last season were drawing comparisons to that Invincibles team. 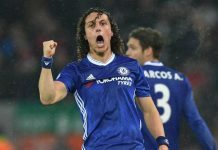 A 3-3 draw at home to Everton last week provided Chelsea with a great emotional spark from John Terry’s last-second backheeled goal to rescue a point, but it should not mask the overall poor performance from the Blues on that day. After a 2-2 draw at home to West Bromwich Albion the week before that felt like a loss, you would expect a reaction from the squad against Everton in front of the home supporters. However, one never materialized until nearly an hour had been played, and at that time the Blues were 2-0 down. The team showed great determination to come from behind twice to rescue the point, but it shouldn’t hide the fact that the team looked dire and uninterested until they went 2-0 down. There is some good news. For the first time in a very long time, manager Guus Hiddink will have a fully fit squad (minus the long-term absentee Falcao) available to face Arsenal. Diego Costa has been showing much more focus on scoring goals lately and despite limping off with a possibly serious injury to his shin against Everton, is fit for this contest having suffered just a bruise. Eden Hazard has also been declared fit after a groin injury has sidelined him since the 3-0 win over Crystal Palace. His return could be met with a bit of a mixed reaction given his performances this season. If the Hazard that won awards last season shows up, his return will give the Blues a massive lift. But if the lacklustre figure that’s been seen on the pitch must of this season appears, many supporters might be wondering if he shouldn’t sit in the stands for a long time. Arsenal themselves have a list of returnees from injury. Alexis Sanchez has been declared fit, recovering from the hamstring injury that has kept him out of action for nearly two months. Mesut Ozil missed last week’s 0-0 draw with a foot injury, but he’s back to full fitness and may be the bigger returnee. The German international has racked up 16 assists for the Gunners this season and has been a big reason why they’ve been consistently at the top of the league. However, Arsenal’s stand-out performer this year is quite a familiar face to Chelsea. Petr Cech’s arrival in North London has provided a major boost to Arsenal and is another big reason why their supporters are dreaming of the title. Terry at the beginning of the season said that Cech could be worth 12 to 15 points in a season, and his comments are being proven true. Last week’s 0-0 draw against Stoke was combative, sometimes a bit chippy affair at the Britannia Stadium and was the sort of game that in past seasons Arsenal may have lost. But three key saves kept the score 0-0, and the Gunners came away with that point, and that has happened quite a lot this season for Arsenal. The fact is that both sides need points out of this match. 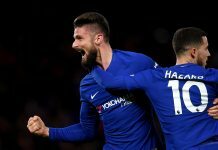 Arsenal need to keep pace with Manchester City and Leicester City at the top of the table, while Chelsea need to stay ahead of the relegation zone, lest they sink too far into that mire. A boring draw could occur, but then again, this is Chelsea and Arsenal, so you never really know what might happen. After all, Costa is still around to stir up a bit of trouble after his incident with Gabriel Paulista in their previous meeting this season.